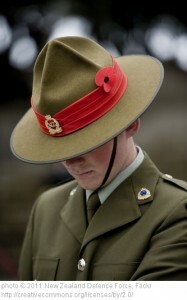 At this time of year, we reflect upon the sacrifices made by the diggers for our freedom. I personally love the many picture books that have been produced in the past few years that allow us to teach about ANZAC DAY with deeper meaning for younger students. As a young adult I was introduced to Fly Away Peter by David Malouf. It is one that still invokes powerful memories for me. I suspect that this week’s READER FEATURE will be similar. This week’s READER FEATURE has been written from the perspective of a returned solider. The main character in this Australian novel is Tom Sherbourne, a returned solider who takes a job as a lighthouse keeper in WA. The Light Between the Oceans was a Good Reads Choice 2012 Winner. It also seems to be popular with Book Clubs and was reviewed by The First Tuesday Book Club. This READER FEATURE is recommended by Lisa Roper (teacher). “A decorated, but world weary war hero returns to Australia at the end of the First World War. All he hopes for is a quiet existence as far from the traumas of war as possible. A job as a light house keeper seems ideal, and he is satisfied – almost at peace. And then life becomes more complicated. At first for the better, with a loving wife, and eventually a child on the way. But challenges, and difficult questions on what is right and wrong follow. This book is evocative of the era and the place – a lighthouse off the coast of Western Australia. The pace moves along deceptively well, and the style is smooth. The reader’s connection with the characters is patiently and well developed, and the reader is swept up into the emotional ambiguity of the circumstances.” Review by Miles Roper.